At first glance, the S306 from Chinese telecommunications company ZTE looks like it’s meant as a joke. With its gigantic buttons, it looks like something that would be most appropriate in the hands of DreamWorks Animation’s loveable ogre, Shrek. It resembles a toy phone you might find in an aisle at Reggies. But the S306, which retails for under R400 from Vodacom, is a serious handset. Aimed mainly at the elderly, especially those who are struggling with poor vision and hearing, the handset, an upgrade from last year’s smaller-screen S302, addresses an interesting market need. ZTE has included several innovative features in the S306. We particularly like the big, orange “SOS” button at the back of the phone. Slide it down and the phone sounds a high-pitched alarm and begins dialling three preset numbers in the order they’ve been programmed. Then there’s the fact that when you dial a number, the phone reads out what you’re typing in — particularly useful for the blind or those with impaired sight. And the phone’s ring tones are deafeningly loud. The FM radio is also good, and it doesn’t require headphones to act as an aerial before it’ll work. Radio reception is remarkably good considering it uses an internal antenna. There’s a basic LED flashlight, though it’s not particularly powerful. It’s bright enough to help you find the car keys but you wouldn’t want to read a book with it. Two other big pluses are that the dual-band S306 is remarkable light at just 80g. And the battery lasts almost forever. On standby, our review unit has lasted for weeks already and is still far from needing its battery topped up. Bear in mind that this is no smartphone. Don’t expect to be able to get your e-mail on it or check in on Twitter or Facebook. You wouldn’t be able to get much done anyway on the low-resolution monochrome screen. 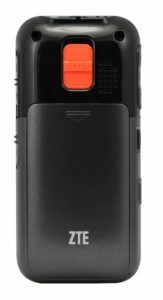 Rather, this is a phone meant for basic calling and texting. And it does that job remarkably well. I can think of plenty of business executives, in fact, who’d love to ditch their BlackBerrys and iPhones for the simpler life, one where the company e-mail server can’t reach them. 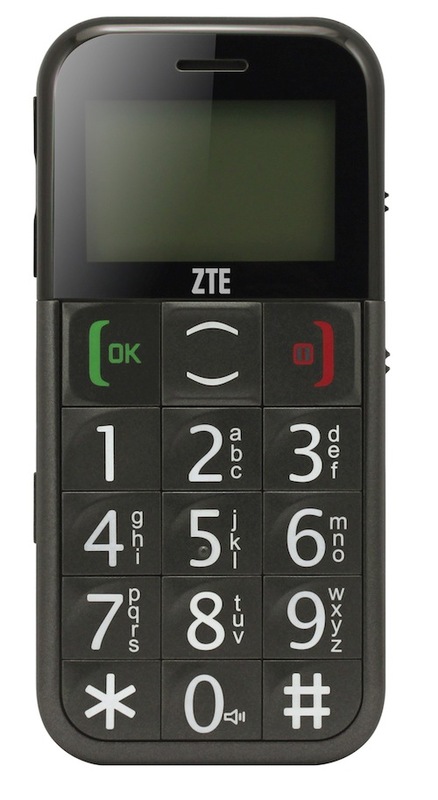 The ZTE S306 is aimed squarely at the elderly. But it may eventually find a wider market. Heck, at the price, it’s a grand backup phone or a device you wouldn’t mind taking on weekend adventures. I bought one of the older versions of this for my technophobe father, he LOVES it. Literally every time I see him he tells me how awesome it is. Apart from the television remote, this is probably the only piece of electronic equipment he’s ever said something positive about. My mother’s now asked for one for her birthday, and is ready to ditch her fancy-pants Nokia. Everything works as advertised, it’s small, light, tough as nails and does everything that he needs in a phone, and being someone who had a heart attack a while back, the entire family takes comfort in the panic button – it actually goes a little further than the article mentions. First, it SMSes some preset numbers with the panic alert, and then starts dialling the numbers, if nobody picks up in X rings, it will hang up and go on to the next until someone answers. At last!! We (probably like many other people) dreamed up and wanted this nearly 10 years ago for my aging grandparents, and finally a manufacturer has had the vision to make one!! Kudos to ZTE! Awesome emergency feature noted by Greg – great thinking by the developers!! Does it have speakerphone for the emergency call?